As California Baptist University students begin classes on campus this fall semester, they will notice the new additions surrounding them–the College Park student living area, upgrades in The Village Apartments and the Events Center. Staff and contractors were busy at work this past summer preparing the accommodations. In addition to the new housing area, College Park, which is located on Magnolia Avenue next to CVS Pharmacy, summer renovations in The Village were completed to house freshmen and transfer residents instead of housing only upperclassmen. “We are so excited to present these new suite-style rooms to the residents of The Village,” said Kelsey Bergstrom, residence director of The Village. Bergstrom explained that most units have been combined so they are much larger than before as well as receiving all new interiors from flooring to furniture. The units also now open up to the inside of each courtyard in order to encourage community among residents. The Village renovations highlight the growth of CBU enrollment in the past year. Bergstrom and her staff said they were eager to see the increased number of freshman students coming to live on campus. 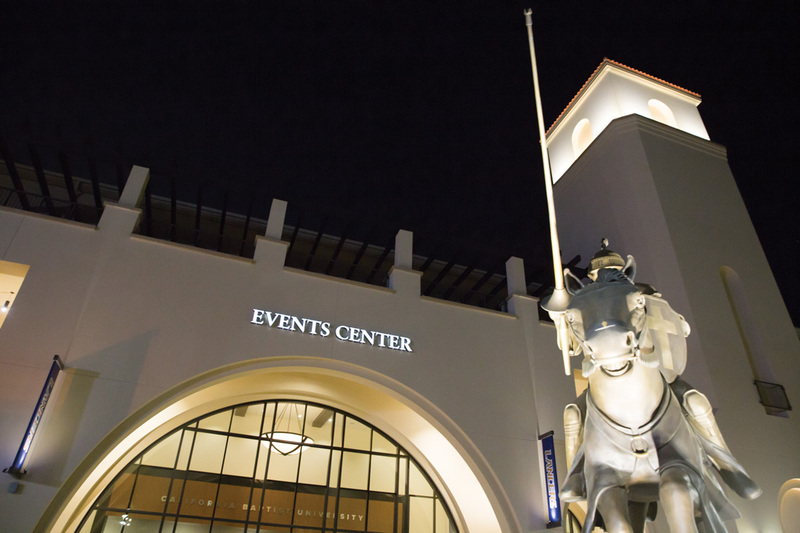 Fitting the theme of California Baptist University’s growth in enrollment, the surge of students required larger academic- and entertainment-oriented buildings to be erected. The Events Center and the university’s name can be seen from Interstate 91, but the view is even better on the inside of the facility. With a building capable of seating more than 5,000 people, Walters said he is excited to have a place where students can gather for a variety of events. These new additions more adequately address the needs of the growing student body at CBU. The university community can expect to see even more architectural additions to the campus in the coming years.